with Local Cheddar brought for everyone to make. tap into our creative juices. A whole lot of creative fun going on. Another fun breakfast with Key for Women. We celebrated Valentine's Day by getting our creative juices flowing. 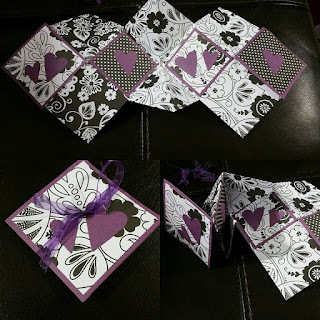 Kathy Anderson with Local Cheddar shared a fun card project with us. Lorene Moore with Nebo Comfort Systems shared some tips for loving yourself so you are better able to love others. 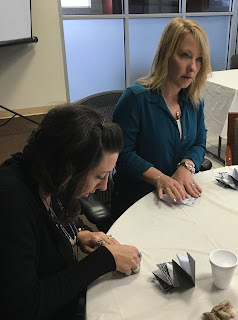 Randi Kaufman with RK Creative Studios shared why need to show the love to our customers. If you weren't able to join us... WE MISSED YOU!! 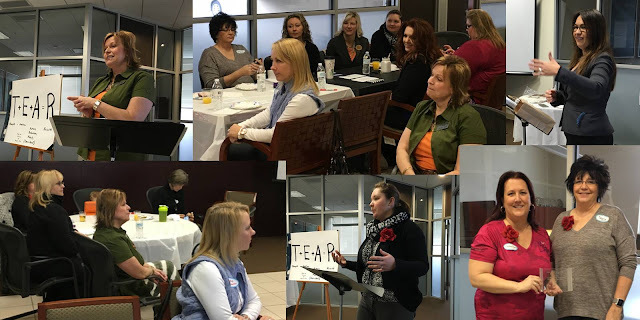 Join us in our Key for Women Facebook group to get an invite to our March and future breakfast meetings. We meet the second Thursday of each month at 9:00 am at the Key Bank Branch 1245 S 800 E, Orem. Mark your calendar for March 10th and join us for our own March Madness. loving yourself and loving your customers. We had fun welcoming several guests. the word out and bringing friends. Business women throughout Utah County have a lot in common. They are mothers, daughters, neighbors, friends, community activists, active in their faiths, sports enthusiasts and enjoy a variety of hobbies. So it’s no surprise that when a group of them come together, amazing things happen. 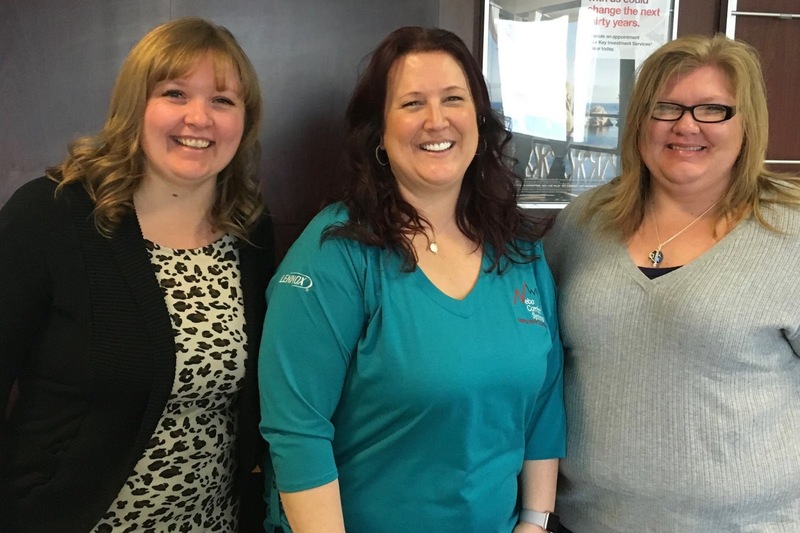 Key For Women’s three-pronged mission of Connection-Empowerment-Service helps women in business balance and strengthen the many facets of their life. Meeting together monthly, Key For Women members connect with women in a variety of industries to learn what products and services they can provide to support one another. Key For Women also focuses on how members can empower themselves and one another for success, helping ladies see how being a woman in business is an advantage rather than a hurdle. 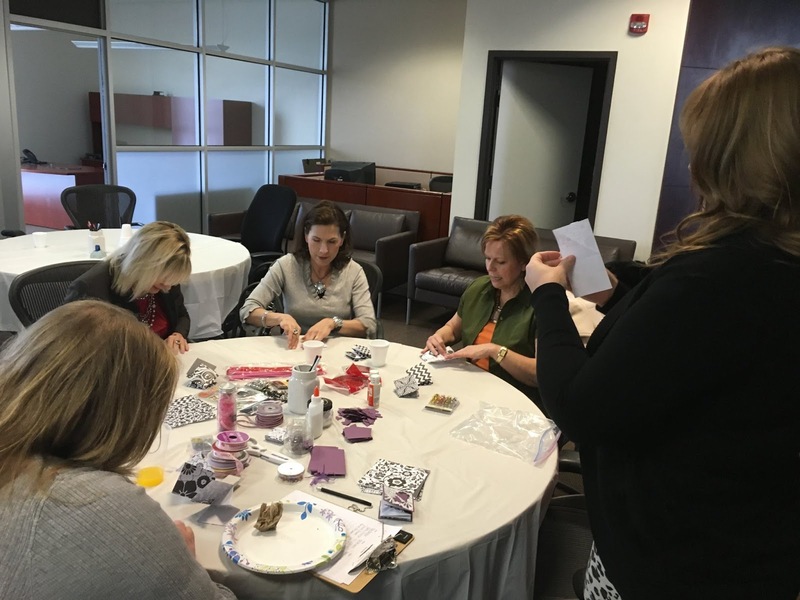 Another focus of Key For Women is to bring members together in service for other organizations, showing them how serving their communities can be a huge benefit to their businesses and employees. Lorene Moore, Community of Caring director with Nebo Comfort Systems, accepted a Community Sponsorship Award for their work with the American Cancer Society’s Relay For Life at the meeting. She spoke about the rewards their employees have personally seen because of their company’s service programs. 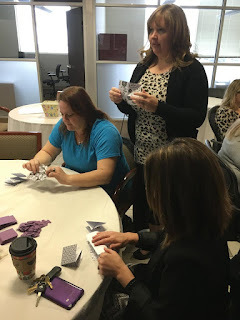 Key For Women invites all women in Utah County who want to strengthen their power in the working community to join them at 9 a.m. on the second Thursday of each month for their Connect-Empower-Service breakfast at the Key Bank branch located at 1245 S. 800 East in Orem. “Together we can make Utah County the perfect environment for women to thrive and succeed in,” Moore said.